Over the last couple of blogs (Check out Balancing Act and High Wire), I’ve noted that Balance is the key ingredient of great decision-making, health, and happiness (human needs). Today let’s explore decision-making. Myers-Briggs teaches us that human decision-making is a two-stage process of taking in information (Perceiving) and then making our decisions based on that perception. It has been my experience through 25+ years of team building and leadership development that we must keep those processes in balance. My data is rather old (meaning more than a day at this point) but the last I remember seeing is that we create over 50,000 GB of data per second. I’ll let you look up what the size of that number really means. What do we know in the present? Where are we trying to go in the future? What will the possibilities be? As you look at the written list you would likely agree that we need all that information in order to make a good, well-informed decision. The problem is that in our every day lives, our brain tends to focus on and give greater priority to either Sensing or Intuition. It takes a team and a good process to maintain a healthy balance. Without balance you’ll tend to be either too short-term or long-term focused. If this function isn’t balanced it can cause the business to fail. Once the perceiving function is completed (and hopefully balanced) our “deciding” function kicks-in. Myers-Briggs identifies these as our Thinking and Feeling functions. A better way to think of these is logic and values. All too often in the business world, “feelings” are discounted as being too emotional. Decisions should be made on logic. But values are important to every organization. When values are violated, the culture begins to crumble, and the organization loses a sense of being. 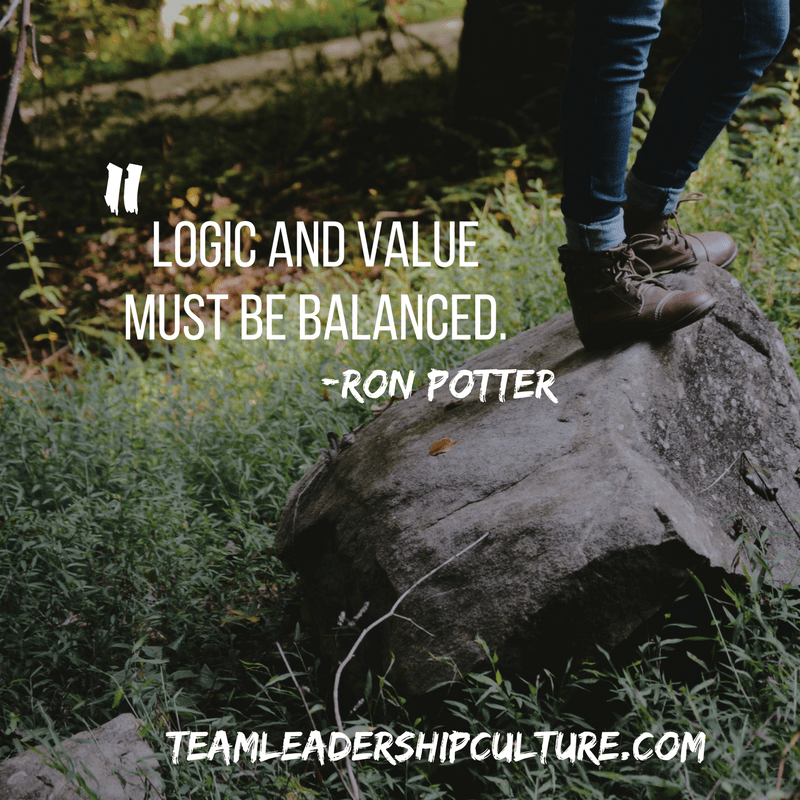 Logic and value must be balanced. Just like on the high wire, goals cannot be met, and trust cannot be build when we lose our balance. We’re recapping some of the most popular posts of 2017. Today we dig into posts 5 through 1. 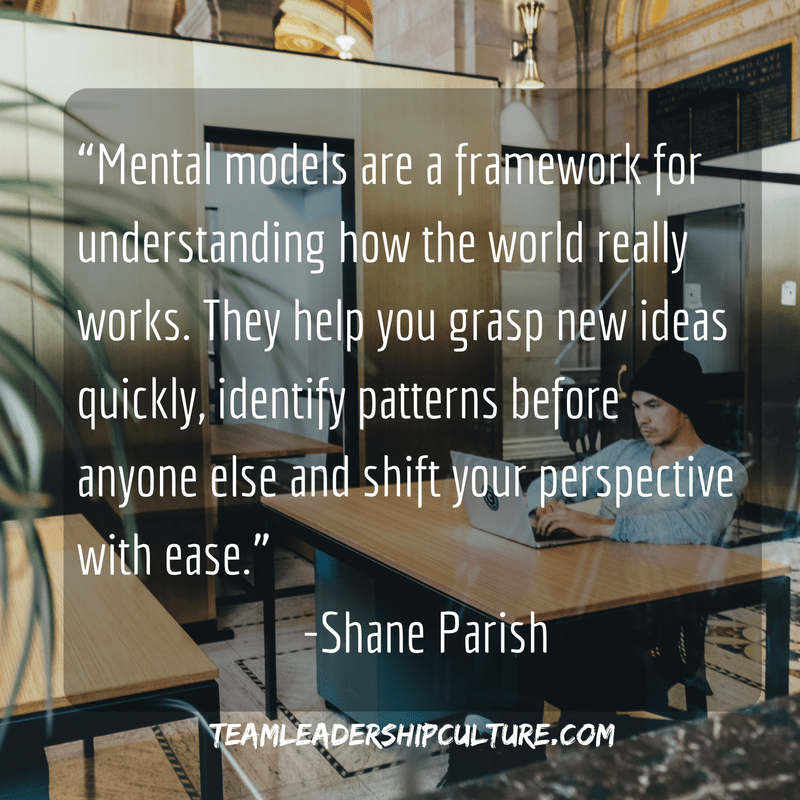 Most successful business people have figured out that they need to balance this function. 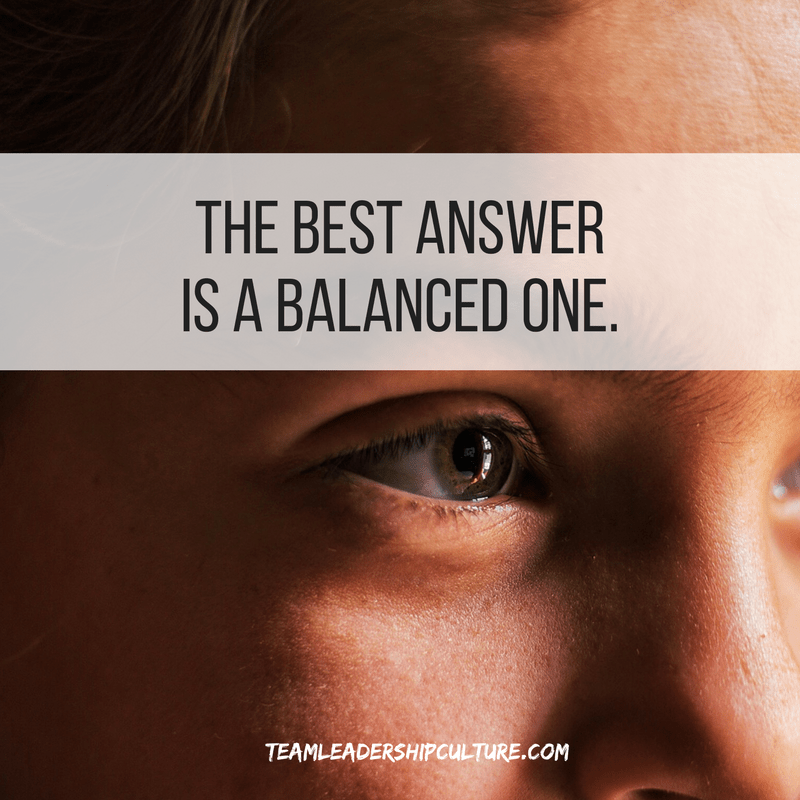 This balancing act most often takes the form of a trusted partner, colleague or consultant. It doesn’t seem to make much sense, but truly great leaders are humble. The problem comes with how the word is normally used: Humble is thought to mean shy, retiring, unobtrusive, quiet, unassuming. Being humble can seem weak or, horrors, even borrrrrrrriiiiiiinnnnngggggg. 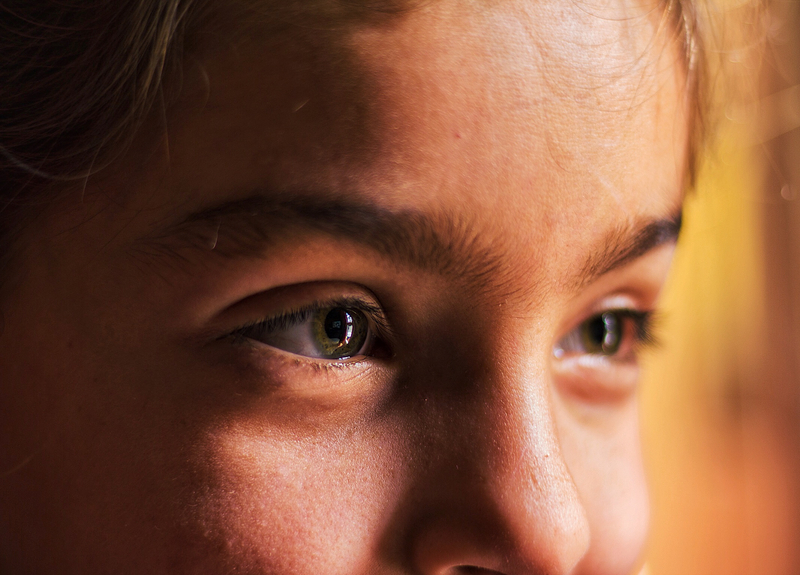 What does it really mean to embrace humility? 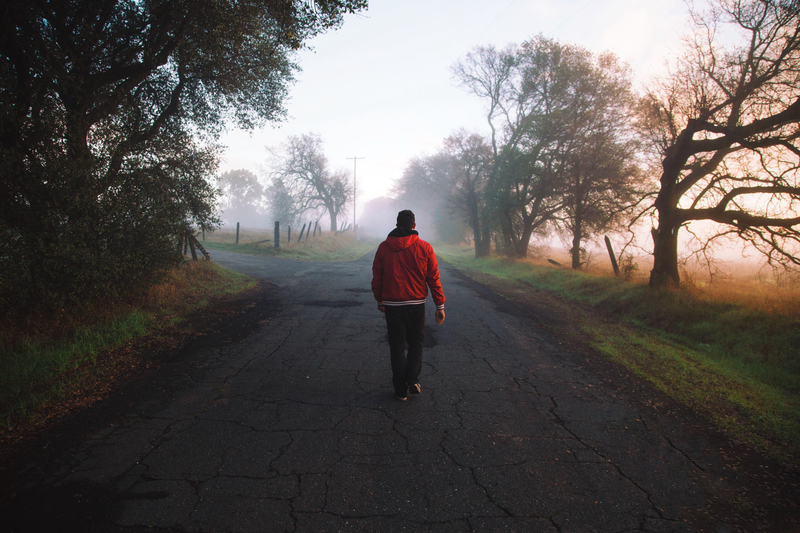 Humility is derived from the Latin word humus, meaning “ground.” One way to describe truly humble leaders is that they have their feet on the ground. I have to get my work done before I can play. I then ask the team to position themselves along the spectrum between those two signs. Once positioned it almost always correlates between their Judging vs Perceiving preference on this scale. People don’t want more information; they want more meaning. What does this mean? How should we interpret these numbers? Give us meaning. Tell us stories. Help us understand. For the rest of the year, we’ll be looking at the top posts of 2017. Today we dig into posts 10 through 6. Someone asked me the other day what was the opposite of the victim mentality. That ignited a lively dialogue which came to the conclusion that Creativity is the opposite of victim mentality. Isn’t that a great picture? If we eliminate policies, procedures, governance, or leadership styles that create or assume a victim mentality, we unleash creativity. Although my work is focused on leadership within corporations, the first thing that came to mind was our law makers. Most (business) people react negatively to this “Feeling” function and will associate with the Thinking side rather than the “touchy feely” side. While this is a complete misconception, it drives a very strong bias to the Thinking side. In my data base of corporate leaders that I’ve gathered over the last 25 years, roughly 85% identify themselves with a Thinking Preference and about 15% with a Feeling Preference. This is far outside the parameters of the other functions. Part of leading is confronting people and urging them toward better performance. Stay tuned. 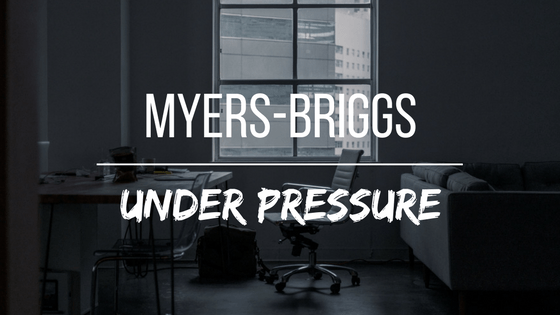 Next in our series titled “Myers-Briggs Under Pressure” we’ll shift our focus from the dominant Thinking style to the dominant Feeling style. This one may have the most difficulty working in the corporate environment. As Teresa begins to answer these very basic Feeling questions, she begins exercising her own balancing mechanisms and it begins to help him out of the rut. Teresa is regaining balance. Stay tuned. Next in our series titled “Myers-Briggs Under Pressure” we’ll shift our focus from the dominant styles centered on our perceiving function (sensing and intuition) to dominant styles based on our deciding functions of Thinking or Feeling. It’s an interesting shift. How did we get to this point where one’s behavior looks like being a jerk to another person when we’re all trying to do our best? 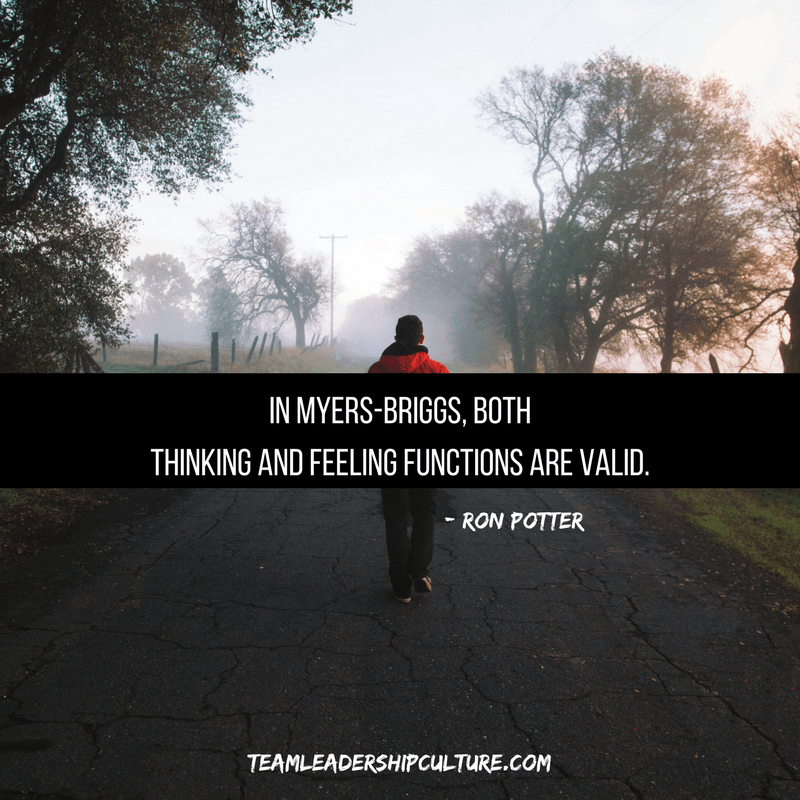 The two middle functions of Myers-Briggs (Sensing, iNtuition, Thinking and Feeling) are considered the decision making functions and each temperament type uses them in a different order. For instance, my temperament type of ENTJ (Extraverted, iNtuitive, Thinking, Judging) starts with the Thinking function being dominant. This means that I’m at my most natural using my Thinking function and will turn to it the most often when making a decision. Because it is my dominant function, I must have it satisfied if I’m to make a decision or support a decision. Once my dominant function is satisfied (is it logical?) I will than turn to my auxiliary function to add balance and support to my dominant function. For my ENTJ preference, iNtuition will be my balancing function. So, once the decision seems to be logical or can be defended from a logical stand-point, my next question will be “Does it support or align with my conceptual view of the world of how things should be. This is my iNtuitive side. First, notice that I have used my middle two functions of my Myers-Briggs type ENTJ. These are my dominant and auxiliary functions and must be satisfied for me to make and be comfortable with a decision. When I’m in balance and doing my best to solve problems and be in alignment with team decisions, I’m relying on these top two functions to be working in harmony. The order of my last two functions, Sensing and Feeling happen with the Tertiary function (Sensing for the ENTJ) being 3rd and Feeling being the last function in my decision making process. These two functions (notice they are not visible in my Type Indicator of ENTJ) will be used positively for getting outside the box of my normal thinking but will also show up when I finally “break” under the pressure and do or say something that I will likely regret later. Under normal or healthy conditions, we all tend to function well in our dominant and auxiliary space. Our dominant function takes the lead but is open to and listens to our auxiliary functions for balance. We will likely pay attention to our 3rd and 4th function (Sensing and Feeling for the ENTJ) just to make sure we’re covering all the bases but they’ll tend to confirm decisions already made buy our first two functions. It’s important to note that I’ve always observed that the best of leaders seem to cycle through all four functions with equal emphasis so that the outside observer would have a difficult time determining which of the four functions is actually their dominant function. Balance, balance, balance. But, under pressure or stress interesting things begin to happen. 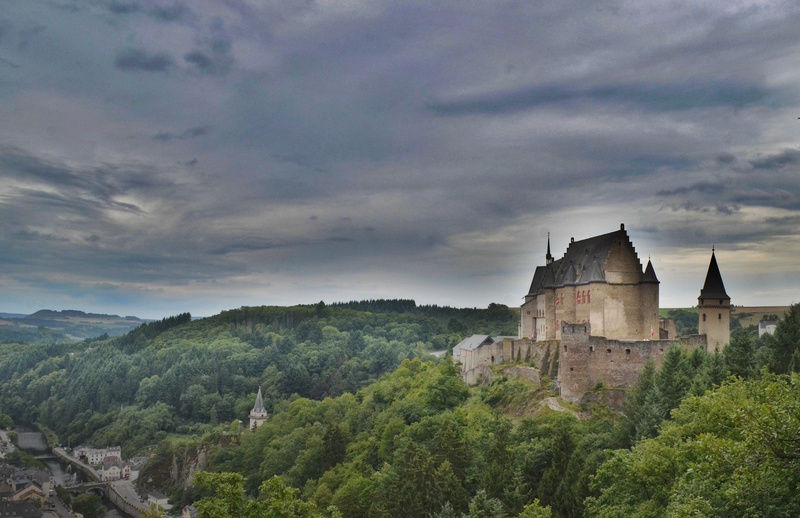 We immediately lose our ability to deal with our 3rd and 4th functions in a healthy, balanced way and in fact, we begin to lose our ability to balance our dominant function with our auxiliary function. We become stuck in our dominant function! In fact, this is what begins to make us look like a jerk under pressure. Our normal balance begins to recede and we find ourselves working from our single dominant function which can get harsh and unyielding in many ways. In fact, if the pressure finally gets to the breaking point, we actually revert back to our inferior function. And unless we’ve worked at improving our behavior under pressure, we’re just not very good at expressing or dealing with our inferior function. That’s when we look and behave like a jerk! We’ll begin to explore some of these issues in coming posts as we look at various types and how they might look like a jerk.